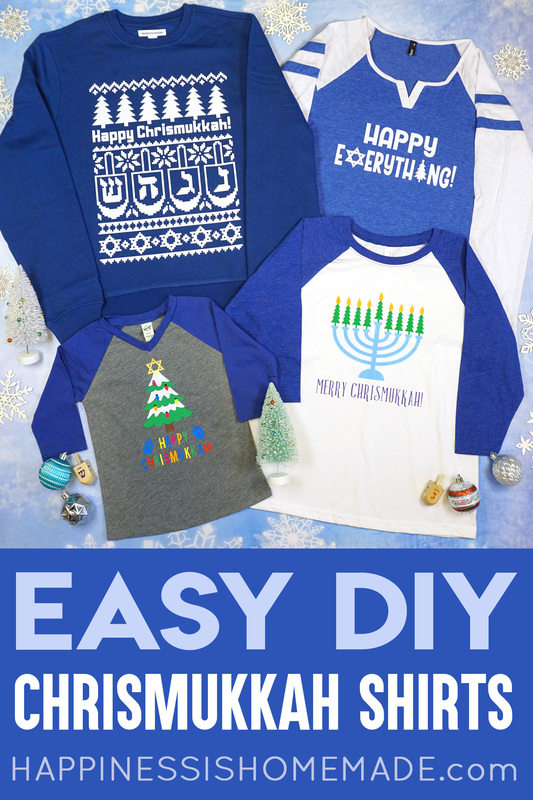 If you celebrate both Hanukkah and Christmas, you’ll LOVE these fun and easy DIY “Chrismukkah” shirts! 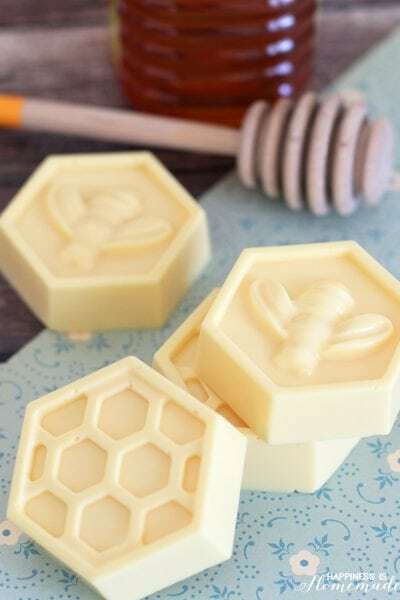 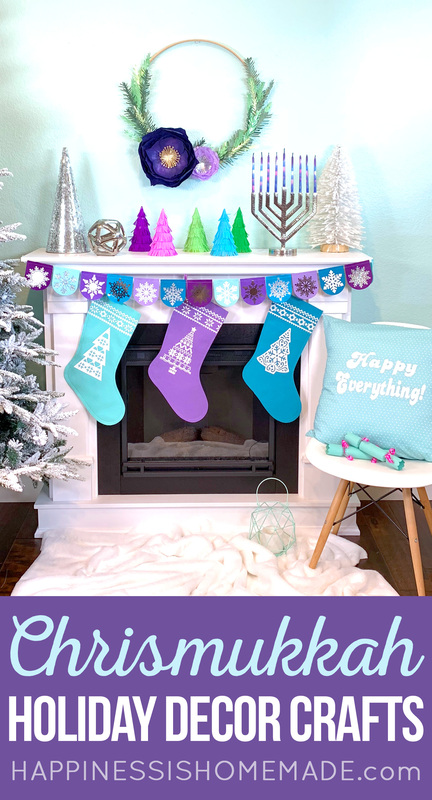 Get the projects in Cricut Design Space and make your own today! 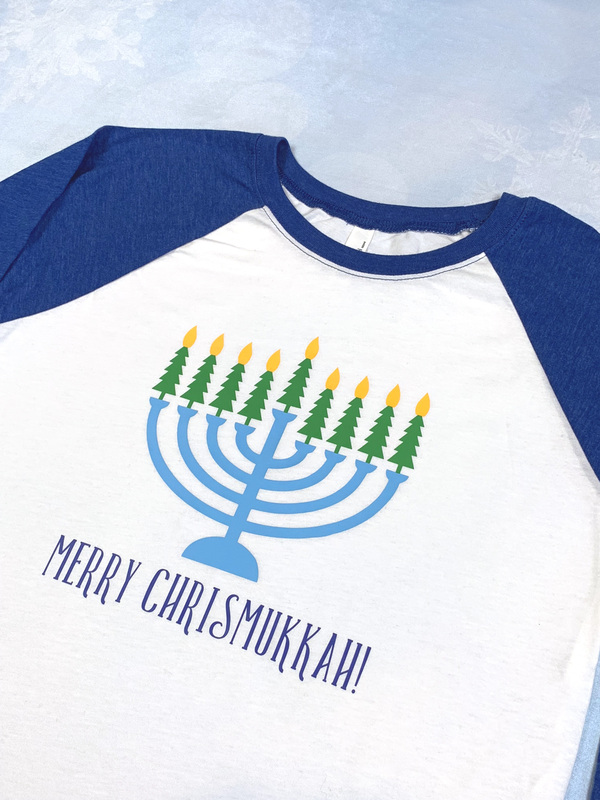 Hanukkah and Christmas are both right around the corner, and if you’re like my family and you celebrate both holidays, you might be looking to create your own DIY Chrismukkah shirts, too! 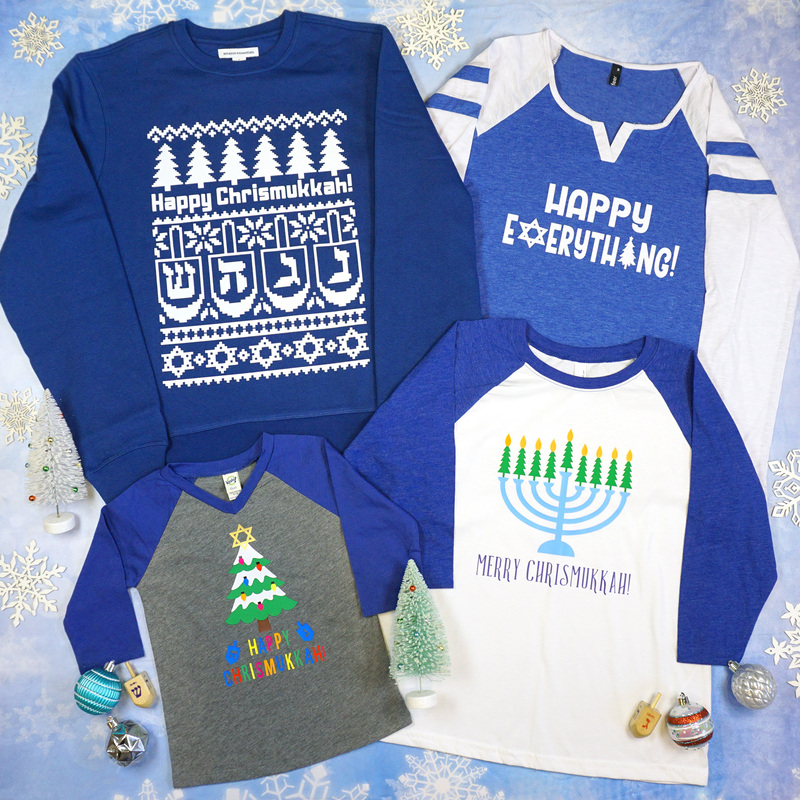 I designed this collection with the entire family in mind, so there’s a great mix of designs here to suit everyone, big or small! 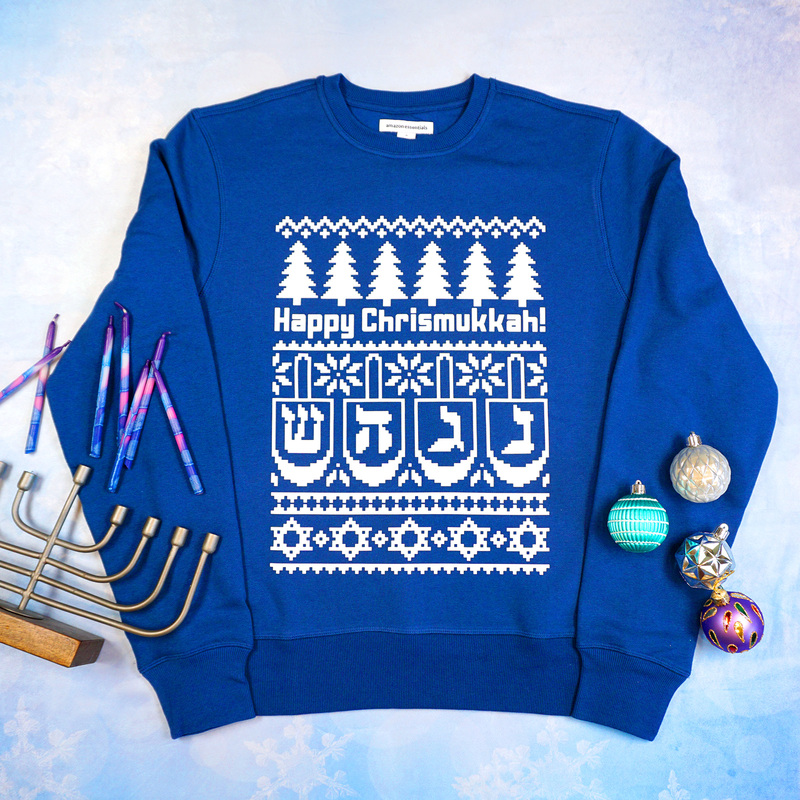 My favorite design out of this entire collection is the “UGLY CHRISMUKKAH SWEATER.” I had been wanting to make an “ugly sweater” for awhile now, so designing one for my favorite winter holidays was a ton of fun! 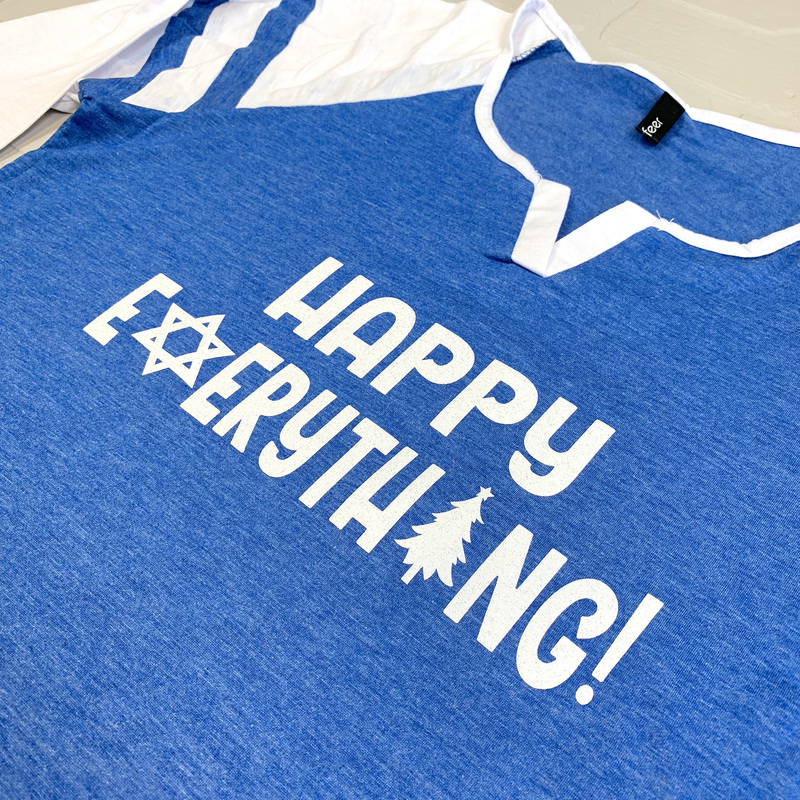 I wanted to make my design as large as possible to fill the front of my shirt, so I used a large 12″ x 24″ mat to cut my white Cricut Everyday Iron-On with my Cricut Maker machine. 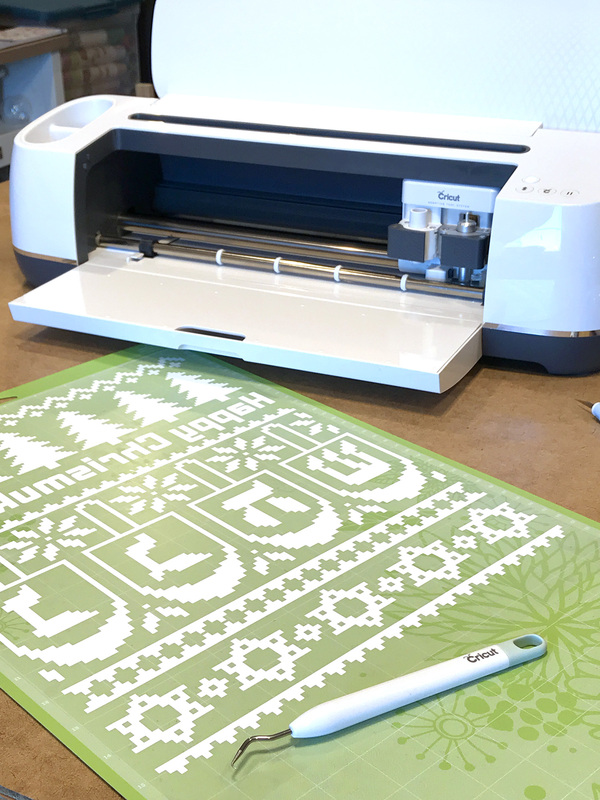 Make sure to mirror the design before cutting it! 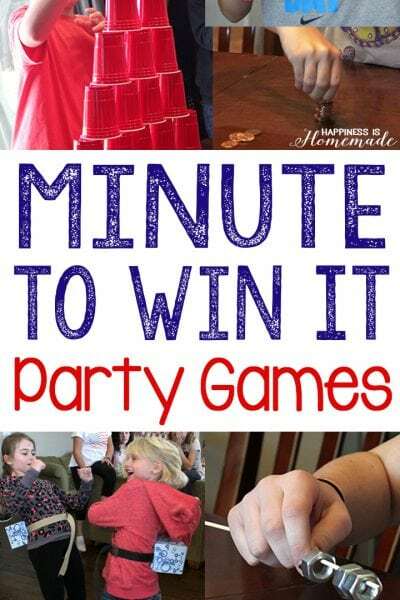 The Everyday Iron-On is super easy to weed, especially when I use my favorite Hooked Weeding Tool! 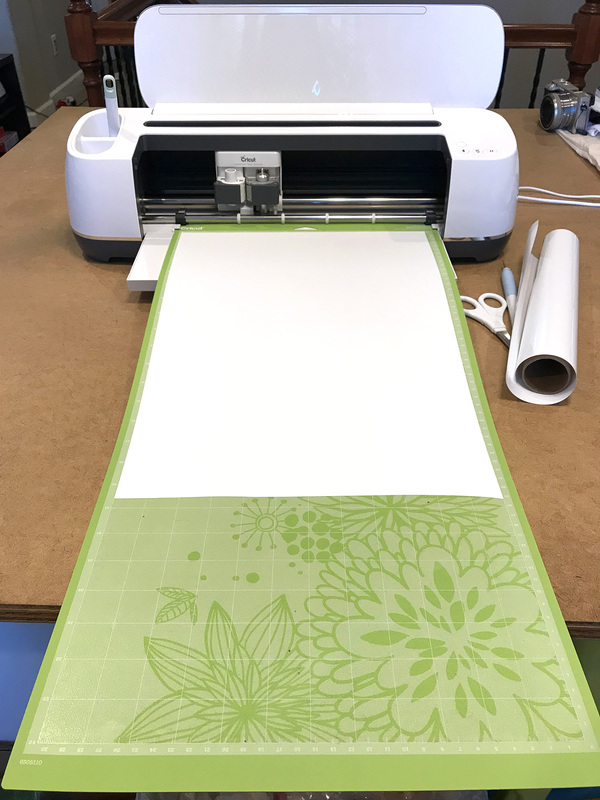 Because my design was so large, it was the perfect time to bust out my large 10″ x 12″ EasyPress 2! 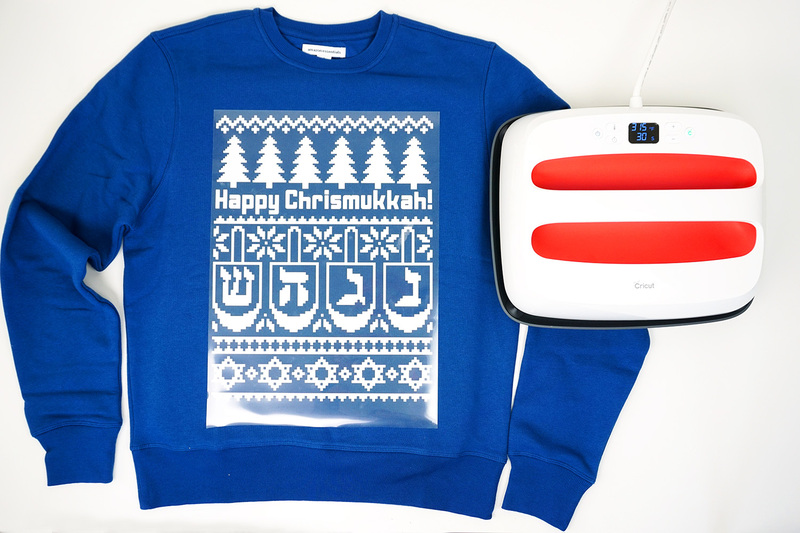 The larger size made it super easy to press my entire shirt in only two sections (and this is a big sweatshirt!)! 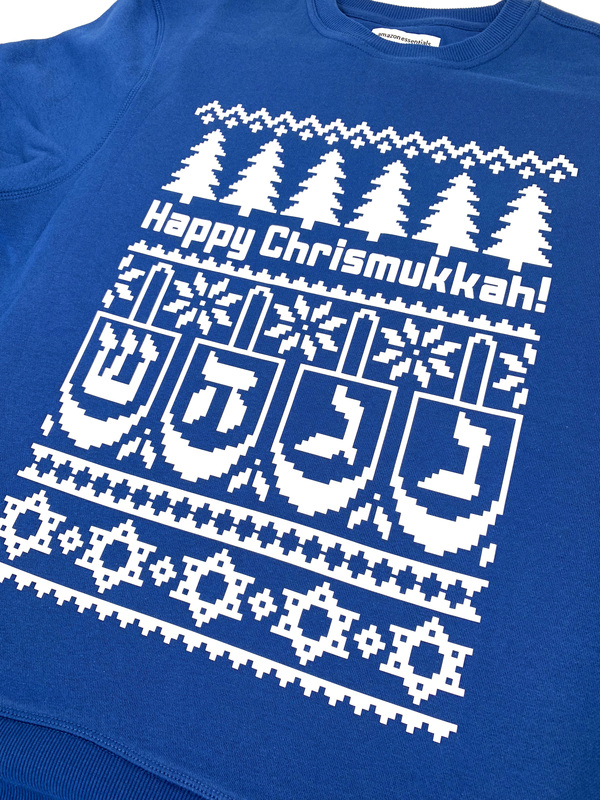 You can grab the Design Space file to make this “MERRY CHRISMUKKAH” MENORAH SHIRT here. 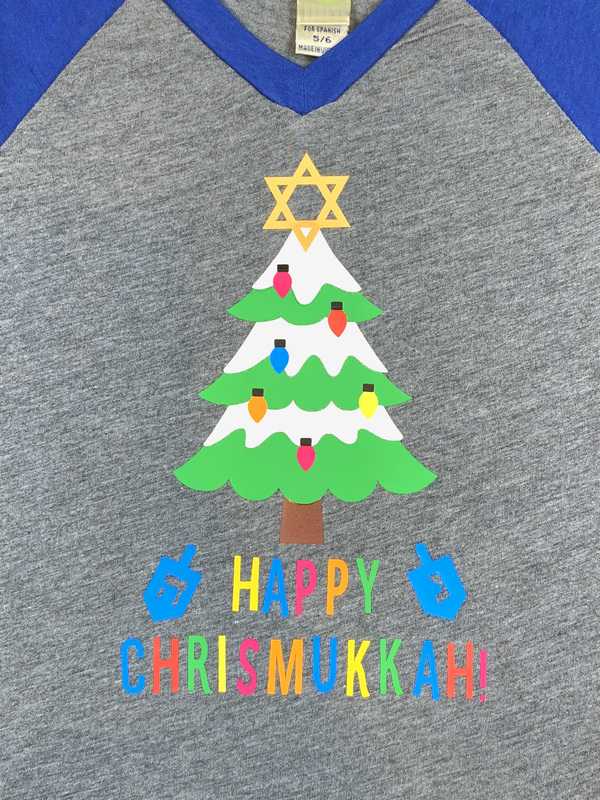 The mix of Christmas trees and the menorah is a fun combination for Chrismukkah – you can even add ornaments and decorations to the trees if you want! 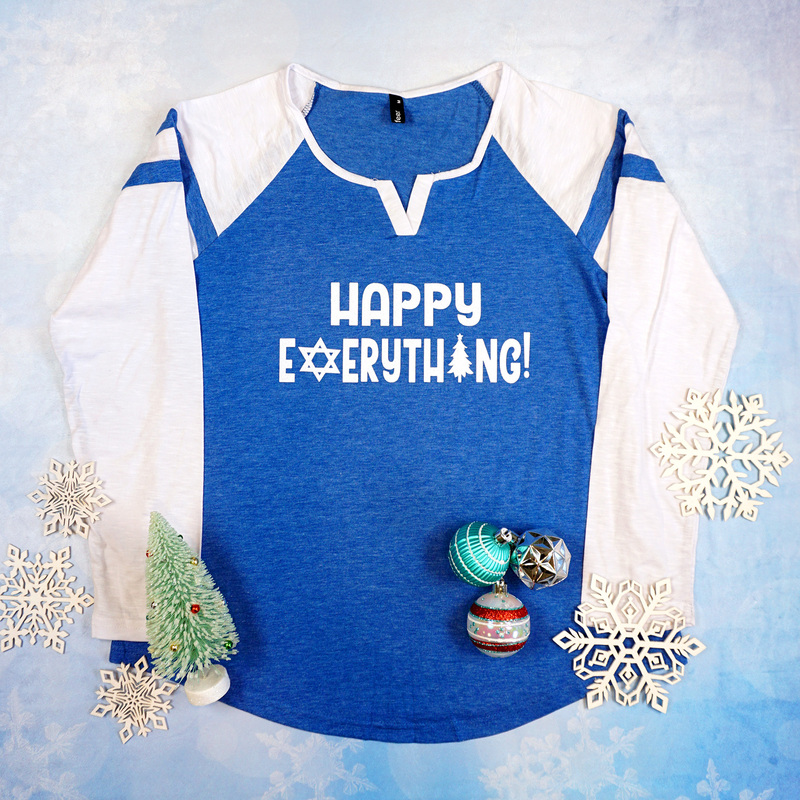 The “HAPPY EVERYTHING” SHIRT nicely sums up my feelings about the holiday season! 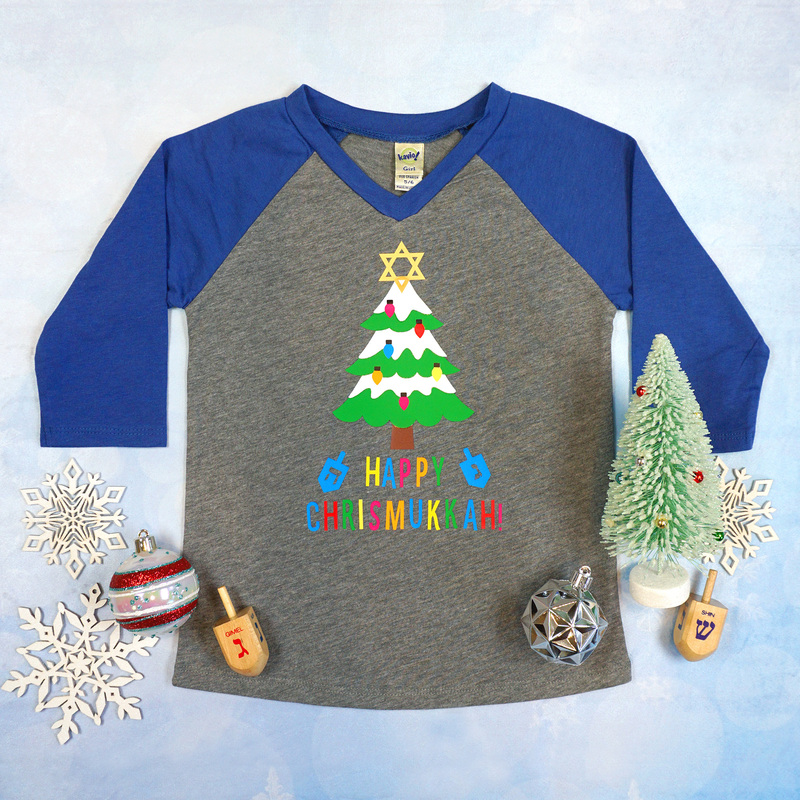 If you’ve visited Happiness is Homemade before, then you probably know that I am a HUGE fan of color, so this “HAPPY CHRISMUKKAH” TREE SHIRT has a LOT of them! 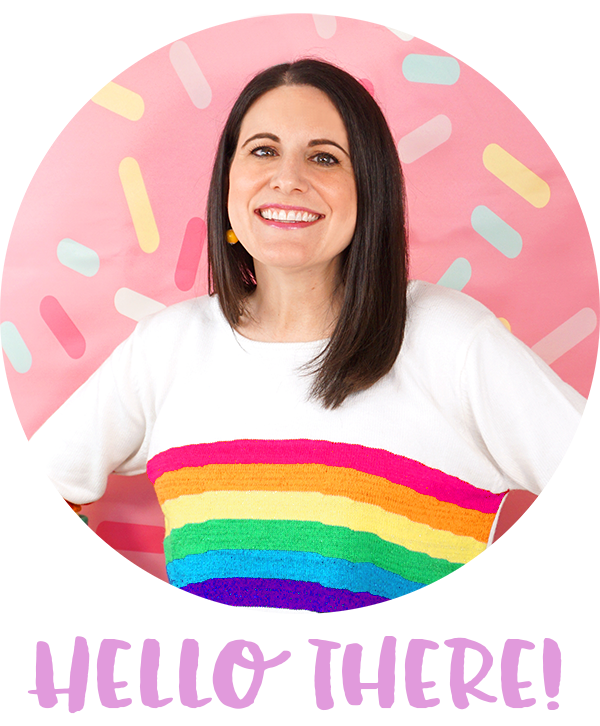 But don’t worry, if monochromatic colors are more your jam, you can totally swap out the colors in Design Space! 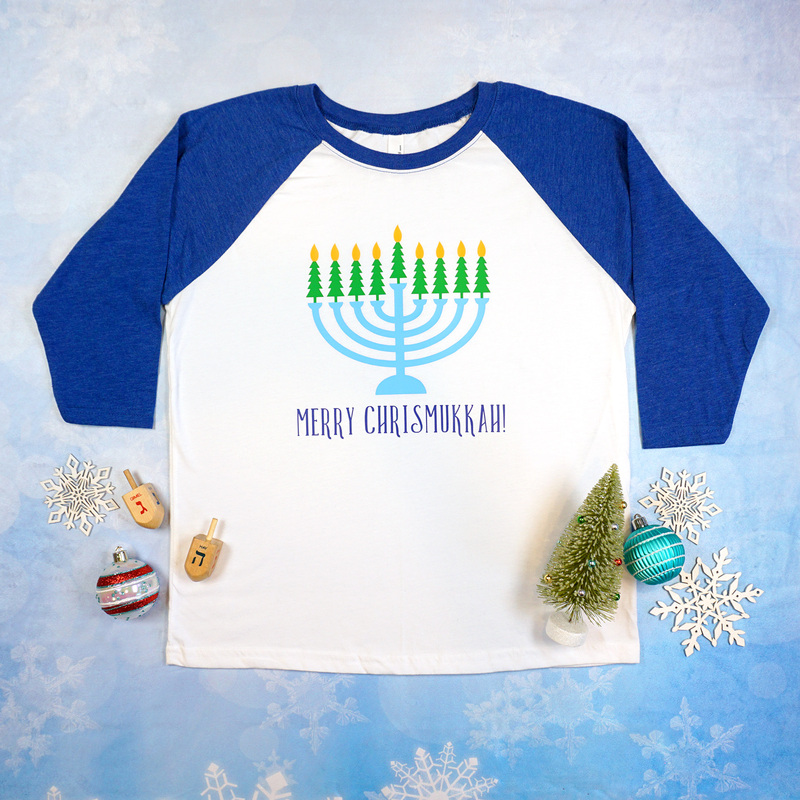 If you’re looking to make your own DIY Chrismukkah shirts, there’s something in this collection for everyone! 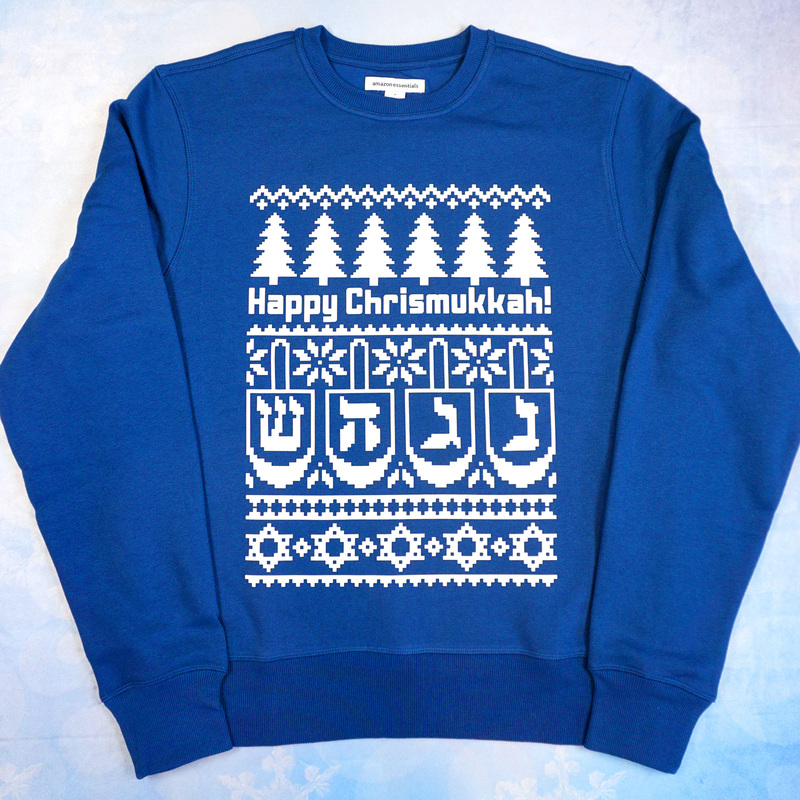 Pin these Chrismukkah Shirts for Later!